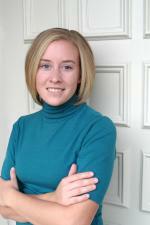 Posted on November 04, 2011 at 10:41:34 am by Holly H.
The 17th season of Indiana University - Purdue University Fort Wayne&apos;s Omnibus Lecture Series is underway and promises to be nothing short of engaging. The first lecture kicked off with Mitch Daniels, Governor of Indiana. Three more lectures are scheduled this season -- and will then be followed by the 2011-2012 final lecture. This is also the 100th lecture to date, in this free and open to the public series. • November 8: Martha Raddatz speaks on “Global Hotspots from Yemen to Afganistan and the Arab Spring In Between” Raddatz, a frequent guest on PBS&apos;s Charlie Rose and Washington Week, is a news reporter known for her converge of compelling foreign and domestic issues from Washington D.C. and across the world. 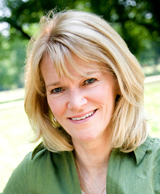 During President George W. Bush&apos;s last term, Raddatz was named senior foreign affairs correspondent. 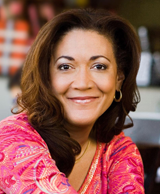 • February 20: Michele Norris speaks on “If You Meant It, Then You Should Have Put a Stamp on It” Norris is an award-winning journalist whose coverage has spanned more than 20 years and included coverage of education, the war on drugs and more. In 2010 she released her book, "The Grace of Silence: A Memoir" which details race in the midst of President Obama&apos;s presidential election. 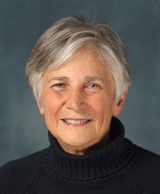 • March 13: Diane Ravitch speaks on “Education Reform” Ravitch is a long-time historian and education analyst and a Research Professor of Education at New York University. As an assistant secretary under the George H.W. Bush administration, Ravitch was responsible for the Office of Educational Research and Improvement in the U.S. Department of Education, among other duties. Lectures take place in The John and Ruth Rhinehart Music Center&apos;s Auer Performance Hall on campus. Free tickets are required and can be obtained in advance from the Schatzlein Box Office in the lobby of the Rhinehart Music Center starting three weeks prior to each lecture. Parking is free. For additional information visit the IPFW Omnibus Lecture Series online.